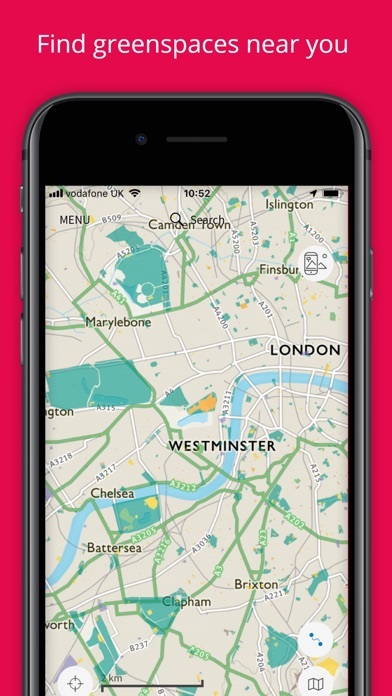 For walking, cycling, riding or planning routes, OS Maps puts Great Britain’s most detailed leisure mapping at your fingertips. Simple to use and feature rich, it’s invaluable for enjoying the outdoors. • MULTI AWARD WINNING: Yahoo Sports Technology Awards Best App, Outdoor Industry Awards Digital Product of the Year, Singletrack Best Online Service. • DOWNLOAD FOR FREE. Get standard, Greenspace and aerial mapping of Great Britain all for free. 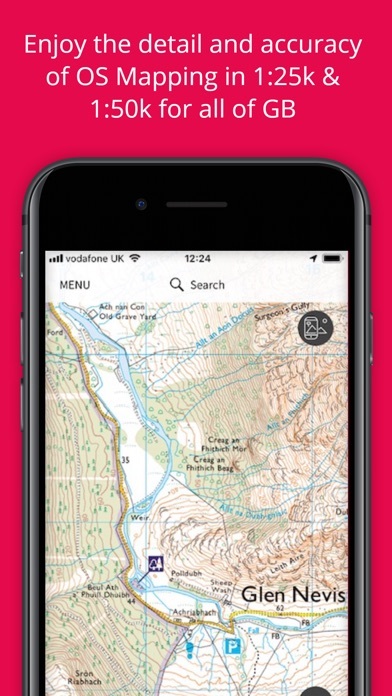 • If you’ve purchased an OS Explorer or Landranger map, use the app to download a digital version using the unique code on the inside of your map. • UNMISTAKABLE OS MAPPING OS Explorer 1: 25,000 and OS Landranger 1:50,000 maps: subscribe to unlock the detail and accuracy of our paper leisure maps across the whole country. • USE ON ALL YOUR DEVICES View, create and sync your activities between desktop and mobile. On desktop, premium users can use our 3D Aerial Layer to plan your route terrain, explore in stunning 3D and print maps. 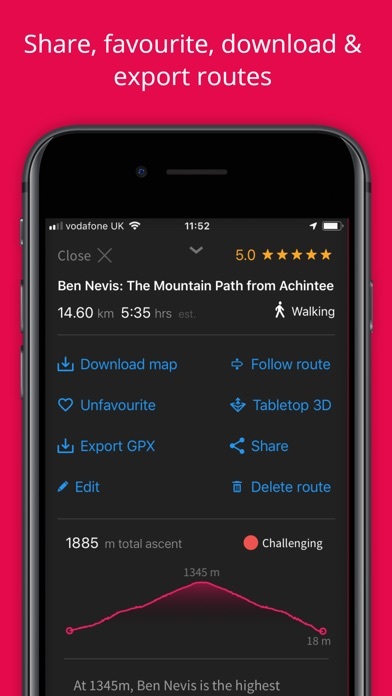 • RECORD & FOLLOW ROUTES Plot a route to follow or share – or record your route while you’re out and about. 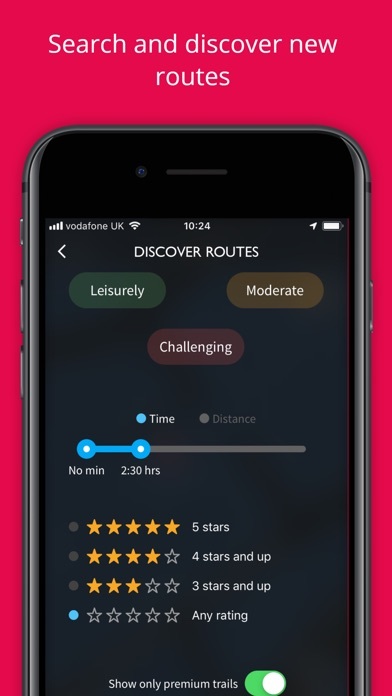 Search for the best routes in your area as star rated by fellow outdoor enthusiasts. 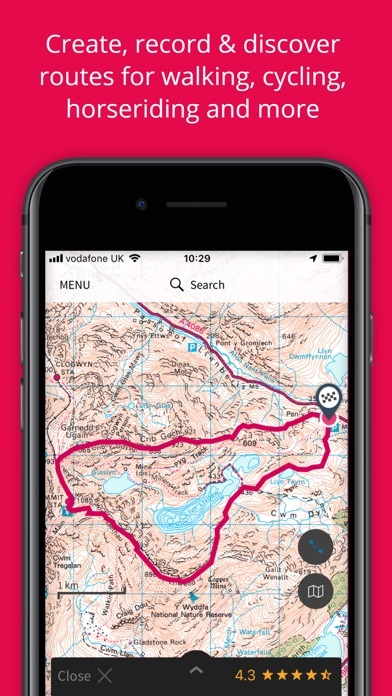 • EXPLORE NATIONAL PARK TRAILS Use OS Maps as your off-road satnav with automatic ‘snap-to-path’ giving you the most enjoyable and safe route between two points in National parks (Premium). 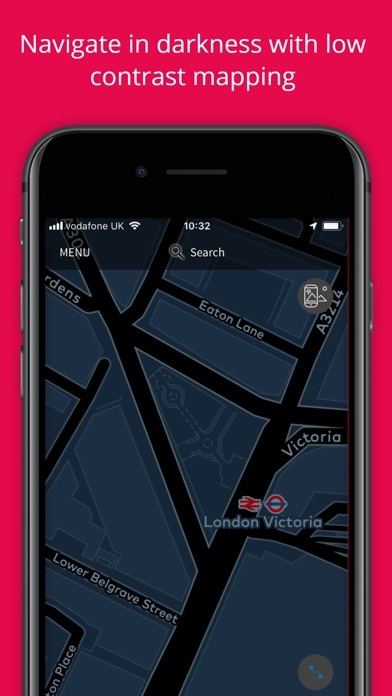 • VIEW MAPS WITHOUT MOBILE SIGNAL Download your favourite areas to view offline – so you can view any part of GB even without a mobile signal (Premium). 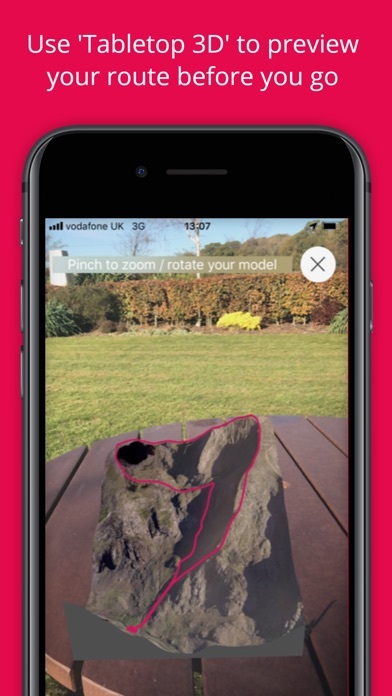 • AUGMENTED REALITY Pan the landscape to see what’s nearby including hills and mountains, forest and woodland, transport, settlements, coast and water. 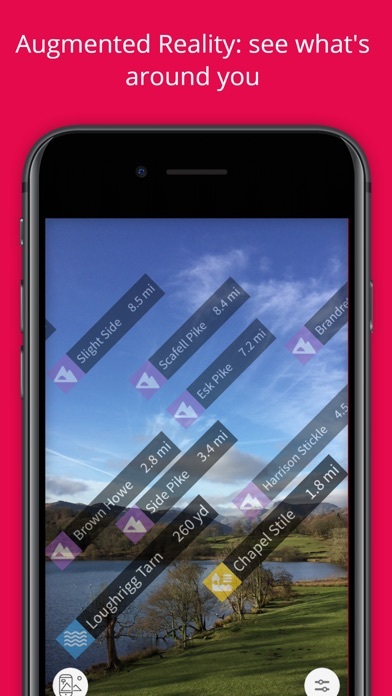 And, with one click, find local area information with routes, places to stay and local images (Premium) • TABLETOP 3D A nifty new augmented reality feature for iOS devices*. View a 3D model of your routes on top of your very own coffee table. A great way to preview a route before you tackle it, ensure it’s suitable for your level of fitness and avoid any scary drops, or an amazing way of showing your friends where your adventures have taken you! • Export your favourite routes to your GPX device. SUBSCRIPTION INFORMATION OS Maps Premium is available through a 1 month or 1 year subscription. Prices are posted in GBP but may vary by country or when converted to local currency. Subscriptions will auto-renew. Payment will be charged to iTunes Account at confirmation of purchase. The subscription automatically renews unless auto-renew is turned off at least 24-hours before the end of the current period. Your account will be charged for renewal within 24-hours prior to the end of the current period, and identify the cost of the renewal. Subscriptions may be managed by the user and auto-renewal may be turned off by going to the user's Account Settings after purchase. Terms & Conditions at os.uk/termsosmaps USEFUL INFORMATION Battery life while using the app can be extended downloading maps offline prior to use, operating in Flight Mode (the GPS will still work) and turning off the screen when not in use. We release updates to all of our apps as we improve them, making them even more stable and adding extra features. Along the way, your feedback and comments about this app is really important to us. If there’s something you’d like us to know, please tell us, by phone on 03454 56 04 20, or via email at osmapsmobile.feedback@os.uk *This feature uses Apple's ARKit which requires an iPhone 6s, iPhone SE, iPad 2017, iPad Pro or any later device. Needs work to be done. Works alright but only that. By far not as good and convenient as the Mapfinder app. Accuracy and detail of the maps are poorer. Only works with an image of a map. If you get closer, resolution gets poorer. Current location dot does not show direction of heading. I wished OS still suported Mapfinder rather than Maps. Wrong decision.